China launched another satellite Friday for the Beidou space-based navigation network, continuing the system's expansion after it began trial service in December. A Long March 3C rocket lifted off at 1612 GMT (11:12 a.m. EST) Friday from the Xichang space base in southwest China's Sichuan province. It was 12:12 a.m. Saturday at the launch site, according to the China Academy of Launch Vehicle Technology. The 18-story launcher, boosted by twin strap-on engines, flew east from Xichang and deployed the Beidou payload in an oval-shaped geosynchronous transfer orbit stretching more than 22,300 miles above Earth at its furthest point. Built by the China Academy of Space Technology, the spacecraft will maneuver itself to a circular orbit over the equator, where it will join the Beidou fleet. 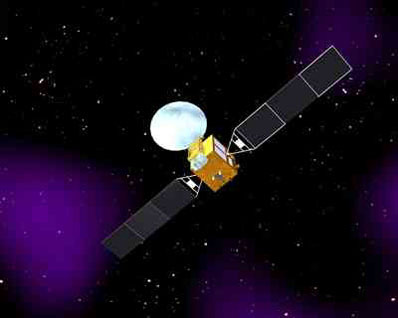 The Beidou navigation constellation, also known as Compass, is China's counterpart to the U.S. Air Force's GPS program. Russia and Europe are also developing independent space navigation capabilities. The newest spacecraft is the 11th operational Beidou satellite launched by China since 2007. It is the fifth craft to be launched into geosynchronous orbit over the equator, while other satellites operate in medium-altitude orbits and inclined flight paths to cover polar regions. 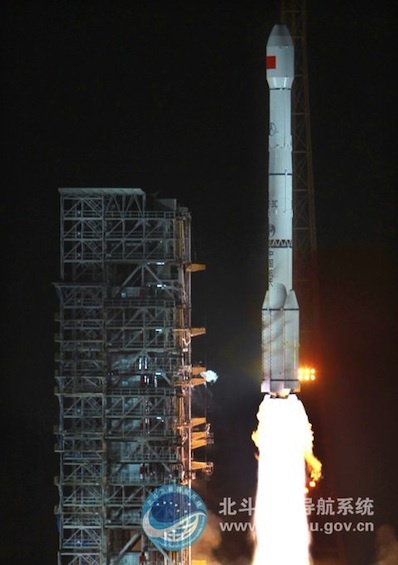 Friday's launching marked the first Beidou satellite orbited this year. Several more missions are planned in 2012 to expand the system. China activated the Beidou network Dec. 27 on a trial basis. Its 10 operational satellites currently provide services over the Asia-Pacific region, including most of China. The coverage zone stretches from the southern border of Russia to Australia, and from India in the west to the Pacific Ocean in the east. The system has been used in transportation, weather forecasting, marine fisheries, hydrological monitoring, and mapping, according to the state-run Xinhua news agency. Global coverage will be possible by 2020 with a constellation of 35 satellites, Xinhua reported. The best service will be available to Chinese military and civil government users. Positioning information with an accuracy of 10 meters, or about 33 feet, will be released to the public worldwide.